At the crux of not just Yogic practices, but our very lives is Prāṇa, the vital life force energy. As all classical texts on Yoga state without any doubt, understanding and regulating the flow of Prāṇa, using the breath is fundamental to understanding the human mind and transcending its limitations. Patañjali emphasises that the proper practice of Prāṇāyāma removes the veil of fear and ego that limit us, thereby catalysing a transformation at all dimensions of the system. 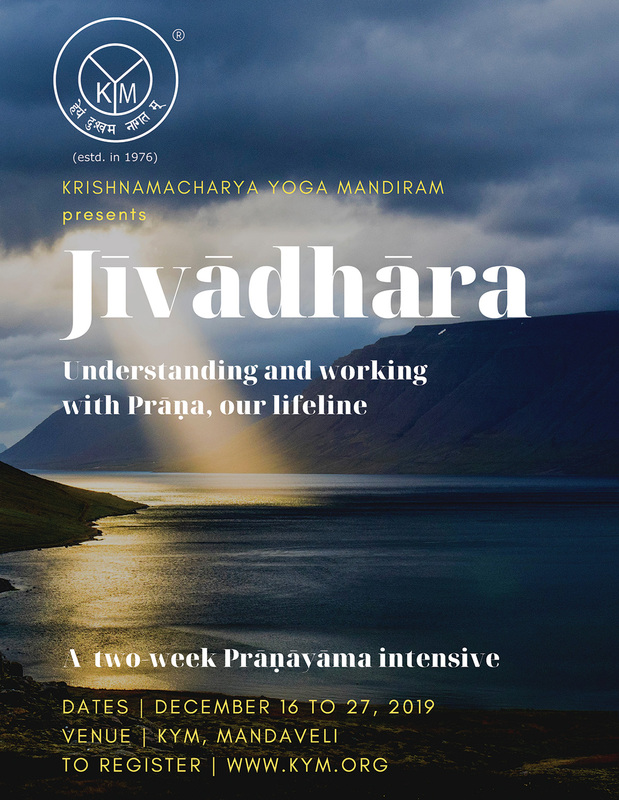 In this two-week intensive from KYM, participants will study the theoretical principles of Prāṇa and Prāṇāyāma and also practice several classical techniques of pranayama. Also included are practices of Samantraka Prāṇāyāma, Mudra and Bandhā. The daily schedule will include practices of Āsana, chanting and meditation as well.